With foreign tourist arrivals to India increasing in numbers, international airlines are going some extra miles to woo NRIs and foreign nationals flying to major Indian cities. Introduction of menus with genuine Indian dishes on long-haul flights to India is among the initiatives into consideration by a few international airlines. Dubai-based Emirates is the first international carrier to serve dishes from different regional cuisines of India on flights to 10 of its Indian destinations in the global service network. As per the report by Statista.com, foreign tourist arrivals to India numbered 26, 30,000 lakhs from January to April in 2014. The United States continues as the biggest source of flyers including NRIs to India. Emirates has started cashing in on the popularity of Indian cuisines to woo the India-bound international passengers. 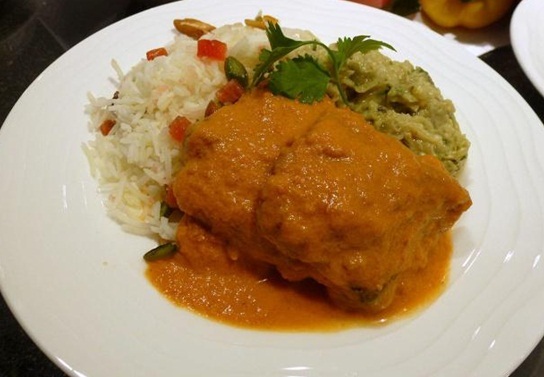 For example, the travelers on Emirates’ Kolkata-bound flights will be treated to the most popular Bengali dishes including mustard fish curry. Emirates serves Turiya Vatana Muthia (a Gujarati dish of ridge gourd and green pea) to NRI and Indian passengers on flights between Boston and Ahmedabad. The airline has added some Gujarati snacks like Chivda to its inflight menus too. Meen Mulaku curry (Fish Chilli curry) is one of the popular Keralite delicacies on Emirates’ inflight menus for the passengers flying to Kerala, while Dhabe da Gosht is served on Delhi-bound flights. Various chutneys and pickles are also offered with the above-mentioned regional dishes on Emirates’ India-bound international flights. “India has a rich culinary diversity with a myriad of flavors and ingredients that vary from region to region. The initiative to treat the taste buds of our NRI and Indian passengers to some of the most popular regional delicacies of India is purposed to make them feel gastronomically overwhelmed during flights to Indian destinations,” said Robin Padgett, Emirates’ Senior Vice President of onboard catering. Emirates Airlines has something more in the offing other than tailor-made Indian region-specific menus. The airline has also indianized inflight entertainment for NRI and Indian passengers flying on long-haul routes. This segment of Emirates’ international passengers can watch more than 100 movies in different eight regional languages of India and access core Indian TV channels which air Bollywood music videos. Etihad Airlines and British Airways are playing with the idea of introducing region-specific dishes from different cuisines of India on their international flights. Of the India-based airlines, Air India and Jet Airways have been offering inflight menus influenced by varied Indian cuisines. Indian Americans can enjoy these newly introduced inflight services including Indian dishes and entertainment programs while flying with Emirates to India from O’Hare International Airport (ORD) in Chicago, Dulles International Airport (IAD) in Washington DC, Austin Bergstrom International Airport (AUS) in Austin, Newark International Airport (EWR) in Newark, George Bush International Airport (IAH) in Houston, and Philadelphia International Airport (PHL). What more? You can fly with Emirates at the lowest airfare to India only if you book flights on IndianEagle.com.